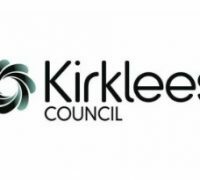 The Kirklees Schools Linking Programme was established in 2006. 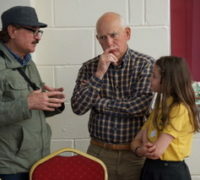 It is led by Yorkshire Spirit CIC and this year 26 classes and several refugee groups will be involved in connecting, linking and learning from one another. In 2017-18, Yorkshire Spirit CIC developed a programme of linking entitled ‘Carry My Story’ involving 16 schools and one special school, including 2 high schools, one of which was a Muslim independent girls’ school. 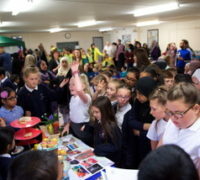 Each school linked together with one another and/or a local community group. Many involved parents or family members throughout the programme. Schools and their partners explored personal stories of identity which were related to the 4 Key Questions. These stories were exchanged with their linked partners and some were selected for interpretation. 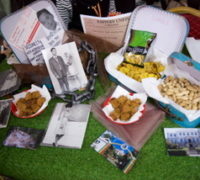 These interpretations were shared at a final celebratory event. 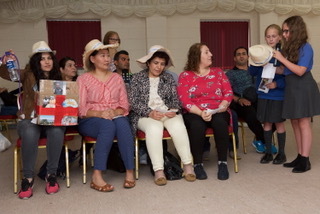 400 children from the participating schools attended the celebratory event together with over 150 adults made up of staff, family members, community reps, refugees and general visitors. 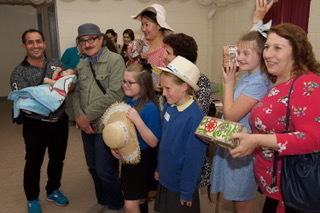 The event took place on two floors of a wedding venue where school set up story stalls covered in suitcases, boxes, art work, food and artefacts. Children were able to visit one another’s installations and throughout the day all presented and performed aspects of their work. 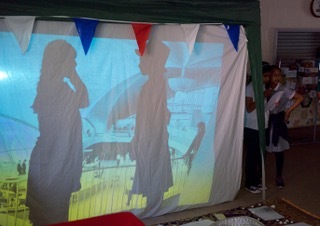 This was made up poetry, dance, shadow theatre, song and sharing research. 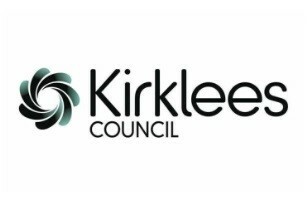 We were successful in securing a grant from West Yorkshire Police Commissioner’s Fund (Safer Communities) for the final event as well as so funding from The Linking Network. Carlton JIN School which has an intake largely drawn from the South Asian community linked with Old Bank JIN School which has a largely White British intake. 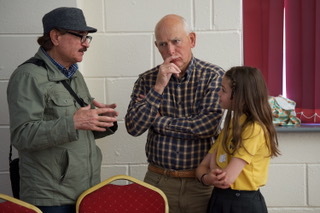 The children met on 5 occasions which allowed them to explore their identities together and share surprising and inspiring stories from adult members of both communities. As part of this process, children from Old Bank JIN school worked with their parents on collecting information about themselves and their families to answer the ‘Who am I?’ question. For many of the children, it was the first time that their parents had engaged in any activity within the school. Every single child in the class had a family member with them. 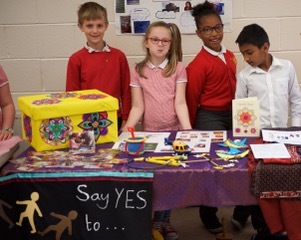 At Carlton JIN school, the children invited members of their local community into school to speak about their experiences of living in Malawi and Pakistan and how it affected their identity. 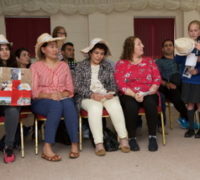 The children shared these stories with their partners as well as cooking dishes together from their countries of origin. 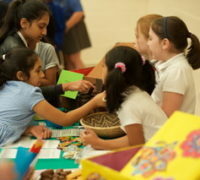 At the final event, it was wonderful to see the children from Old Bank, sharing the African story having carried it. 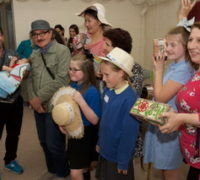 Children from Carlton shared stories from Old Bank in the form of poetry, art and music. “We have learned about diversity and team work and we have created amazing things. We have got to know children from Old Bank and it has helped to be better people.” Pupil from Carlton JIN. “Thank you for this. It has made me weep and smile to see the children tell my mother’s story and to see everyone together like this.” (Grandma). “It’s so important to do this with everything that is going on in the world right now that separates us. We really identified with the migrant stories because of our family history. It was an honour to share the story and great to feel part of a project like this with the children. We enjoyed sharing the Polish food with everyone too! 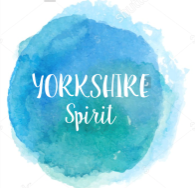 In 2017-18, Yorkshire Spirit, developed a programme of linking entitled ‘Carry My Story’ involving 16 schools and one special school, including 2 high schools, one of which was a Muslim independent girls’ school. 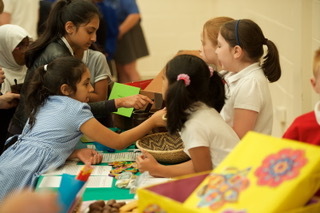 Each school linked together with one another and/or a local community group. Many involved parents or family members throughout the programme. 2 whole day CPD sessions were attended by 35 teachers to introduce the programme, including work on understanding and expressing identity though 4 key questions: Who am I? Who are we? Where do we live? How do we all live together? Throughout the project, schools and their partners explored personal stories of identity which were related to the 4 Key Questions.These stories were exchanged with their linked partners and some were selected for interpretation. 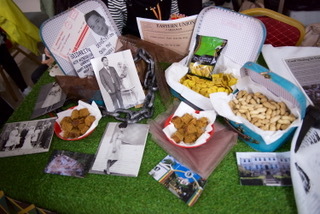 These interpretations were shared at a final celebratory event. 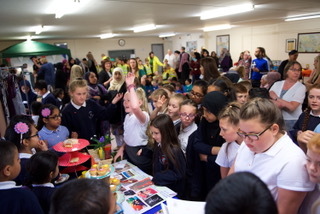 400 children from the participating schools attended the final event together with over 150 adults made up of staff, family members, community reps, refugees and general visitors. The event took place on two floors of a wedding venue where school set up story stalls covered in suitcases, boxes, art work, food and artefacts. Children were able to visit one another’s installations and throughout the day all presented and performed aspects of their work. 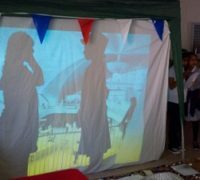 This was made up poetry, dance, shadow theatre, song and sharing research. “I loved the stories even though they were sometimes sad. “It’s so important to do this with everything that is going on in the world right now that separates us. We really identified with the migrant stories because of our family history. It was an honour to share the story and great to feel part of a project like this with the children. We enjoyed sharing the Polish food with everyone too! It’s important we don’t isolate each other or shut each other out. People should learn the full stories about one another and then they can live together and understand” (Mum).